Author and consultant Dr. Lynda Falkenstein is the expert behind Ask the Niche Doctor, a Vancouver Business Journal business advice column. Do you have a question for the Niche Doctor? Email drniche@vbjusa.com. We are a young, local startup. In essence, we are visual designers of interactive media for mobile platforms. Our platform is so easy to use you’d think everyone would want to go digital and mobile. But when we talk with local magazines they are happy with PDF versions of their media. Our platform, however, makes media come alive through interactivity and could really help them. How do we find clients who “get it?” What do you suggest? Thanks for your important question. It sounds like you aren’t making it clear to your prospective clients how your widget can help them solve their perceived problems. People rarely make a significant change when they feel comfortable, and the people you’re talking about sound quite satisfied with their status quo. The first thing I would suggest is giving them a hands-on experience. Perhaps offer them a private seminar or webinar? An actual hands-on experience – not simply talk – could be quite effective. In addition to “finding clients,” it’s even better when they find you. How does this happen? You should be having stories or columns about your work show up in trade and professional publications that your clients read. The question is, do you know what they read? Do you go to their conferences, whether on-site or online? I tell my own clients they need to go where their clients live – sometimes that means geography, but always means where they live inside themselves. You need to know your prospective clients’ goals, ambitions and perceived problems. Once you know those, you are set to help them get there. Most importantly, you have the essential raw material for your own marketing – the kind of marketing that gets the right clients calling you up. I’ve been a real estate agent for nearly 25 years and somehow have weathered every up and down in the economy, even our recent near disaster. Despite the erratic nature of our business, I’ve done well. Some would say very well. I have a solid personal financial portfolio with no financial worries of my own. So what’s the problem? I’m really worn out and don’t like the idea of going to work anymore, at least not doing what I’m doing. I think I’m burned out. The real issue is I don’t have a clue what I’d do if I weren’t selling houses, even if I don’t enjoy the process anymore. This is all I know. Help! First off, we need to get something cleared up. Real estate isn’t all you know. It’s a lot, but not all. Given how tired and likely bored you are with where you are now, I suggest you get started with your transition pronto. After all those years in the trenches along with your great track record, you’ve likely got some valuable information that could be very useful to your colleagues in real estate and other service professions. My guess is you could give some powerful and practical advice that would help others come closer to achieving the same kind of success you have achieved, even in rotten economies. I’m suggesting that you are a perfect candidate for consulting and teaching. That wisdom you’ve accumulated over the years (and that you probably take for granted) can make all the difference to those yearning for their own success in today’s world. You have the keys. I hope you will consider helping others open their own doors to success and prosperity. I’m a lawyer here in town and getting sick of people expecting me to give them free advice. Sometimes I feel like telling them I work at Nordstrom and let it go at that. I doubt they would expect me to give them anything free from there! Your suggestions for avoiding being pillaged for free advice would be much appreciated. I’ve heard of pesky advice seekers, but never anyone getting beaten up because they wouldn’t give free advice. My answer is simple: Smile and then say, “You know, that’s a really important question. So important, in fact, that I don’t feel comfortable answering it here over wine and cheese. I suggest you give me a call Monday and schedule a professional appointment so we can address this fully.” Do this and at least two good things will happen. First, you’ll be done dishing out free advice. Second, you’ll have converted a nuisance into a paying client. Dr. Lynda Falkenstein, business consultant and author of “NICHECRAFT: Using Your Specialness to Focus Your Business, Corner Your Market, and Make Customers Seek You Out,” invites your questions and comments. Reach her directly at: drniche@vbjusa.com or 503.781.0966. 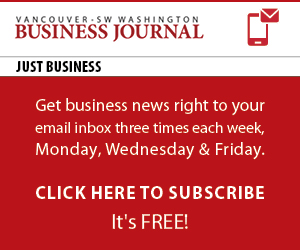 Please note that the Vancouver Business Journal reserves the right to publish your letter or an edited version all print and electronic media.